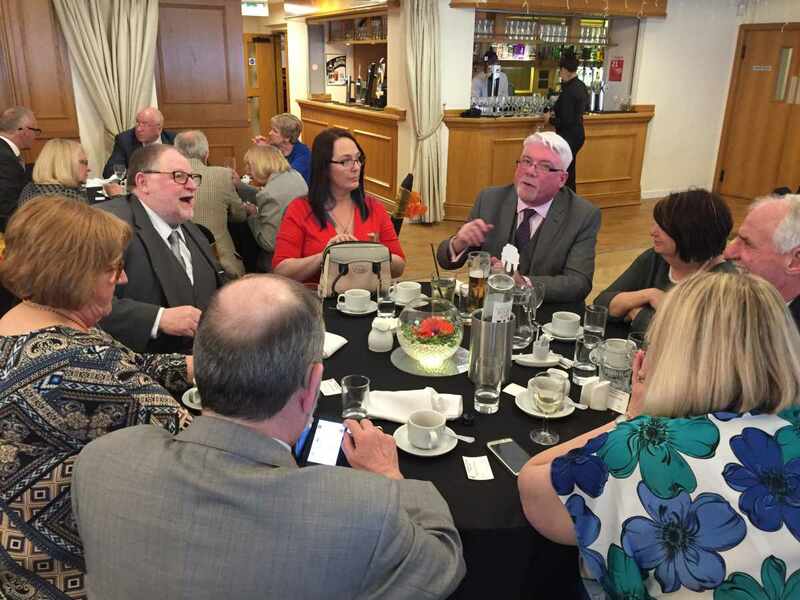 Sunday April 14 was the newly appointed Grand and Provincial Officers lunch held at Middleton Masonic Hall. The room was beautifully laid out and the three-course lunch was first class. The Provincial Grand Master, RWBro Alexander Sillars McLaren, the Deputy and Assistant Provincial Grand Masters were all in attendance along with 80 brethren, wives and partners. The Provincial Grand Master congratulated all the brethren on their appointments and thanked them for their support during the year. He also thanked the wives & partners for their support in our endeavours. WBro T S Mills and his wife Janet presented the Provincial Grand Master with a cheque for £401 for the 2021 Festival. This was the amount raised by the Manchester City Cruises which had proved a very enjoyable day. Following lunch, many of the attendees retired to the bar for a final drink before heading for home. Word and photos by WBro T S Mills. ← Manchester City Canal Cruise.